Originally from the East Coast of Florida, Jeff Miloff served six proud years in the US Coast Guard, where he was stationed in Cape May, New Jersey. After meeting his wife, Jacque, a Jersey native, they soon made the decision to return to the sunshine state, this time to the West coast, where beautiful Southwest Florida became their home. Jeff began his career path in sales selling a wide array of products from Kreepy Krauly vacuum cleaners to pet supplies. Once he joined the real estate industry in 1989, he quickly realized it was his passion. As fate would have it, Jeff met and partnered with Gary Aubuchon of Aubuchon Homes in 1999 to initiate a real estate company – and Miloff Aubuchon Realty Group was born. He also partnered with Gary in Omni One Title Services. This would become the third of four companies under the umbrella of the Aubuchon Team of Companies. Through many ups and downs, and a unwavering dedication to hard work, this once small real estate company has evolved into one of the top independent firms in Southwest Florida. Now with nearly 90 real estate agents, Miloff Aubuchon Realty Group is currently the #1 independent firm in Cape Coral, and #2 in Lee County. With almost 30 years’ experience in real estate, Jeff’s influence has led the firm to achieve more than $2 billion dollars in sales. 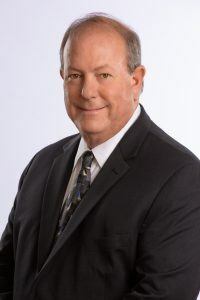 A visionary leader, Jeff spearheaded a Property Management/Rental division, a Commercial division, a Real Estate Information and Model Home Center, 2 additional real estate offices in Estero and Fort Myers, and the latest division, a Miloff Aubuchon Agent Referral Network. Jeff’s contributions and willingness to take risks has enabled this enterprise to weather the downturns in the market and come back even stronger. As a successful realtor, Jeff’s customers rely on his unique insight into the industry. His business includes referrals from customers who consistently return to him for all of their real estate needs. Jeff is an optimist, continually setting goals and pushing himself to improve, personally and professionally. His motto, “Work Hard, Play Hard, Give Back Hard” means you will find him working out in the early morning hours at the local gym, putting in a 10-12 hour day, and then attending charitable events in the evening. He’s organized dozens of fundraisers including poker and fishing tournaments, as well as serving on several non-profit Boards throughout the years. In his downtime, Jeff enjoys fishing, boating, and spending time with family, friends and his loyal dog, Buddy. A Raving Fan of Jeff’s!